3 Bedroom Semi Detached Cottage For Sale in Weston-super-Mare for Asking Price £279,950. 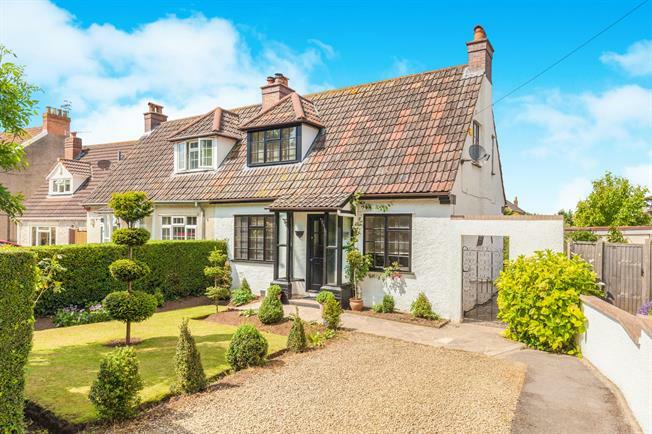 Step inside this charming three bedroom semi detached cottage in Uphill and wonder at the character on offer. Extended by the current owners, this property offers not only unique living space internally but fantastic landscaped gardens to the front and the rear giving you your very own sanctuary. Living accommodation is spread across two floors with the three bedrooms on the first floor. The ground floor offers a living room, bathroom and kitchen but also an extension to the rear adding an additional reception room which could be used as a second lounge or dining area. To the rear, double doors open out onto stunning gardens which have been perfectly maintained and there is a summer house at the bottom of the garden where you can relax on the patio with a glass of wine enjoying your property.